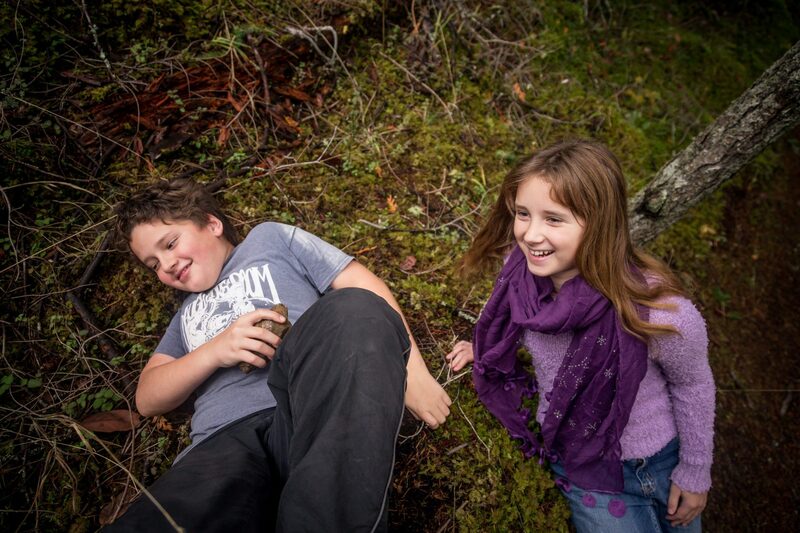 The “Galiano Twins” are made up of Malcolm and Laura Colwell—and their mum, Alison. Growing up on Galiano Island, each day of the twins’ younger years were spent hiking in the forest or building forts at the beach. At six years old they began Geocaching throughout the islands, and very soon they were hooked. Then Andrew proposed another kind of treasure hunt: find ten trees! Instead of a GPS they had a guidebook and a checklist, and it was just as thrilling! So began the Galiano Twins’ biodiversity scavenger hunts: searches for new species to add to the list, using the online citizen scientist platform iNaturalist. Malcolm can be counted upon to climb anything, or wade through swamps. Mum holds the guidebooks and does the computer entry. And Laura is the photographer of the group. Together the Galiano Twins have made over 200 observations on the Biodiversity Galiano project, documenting more than 100 species. Those observations include sightings of seven species previously unreported for the island, in addition to the historical records they’ve confirmed.